A friend was looking for ways to control current flow in one of his projects. As always, MacGyver was approached to find a solution for him. So, MacGyver did just that. 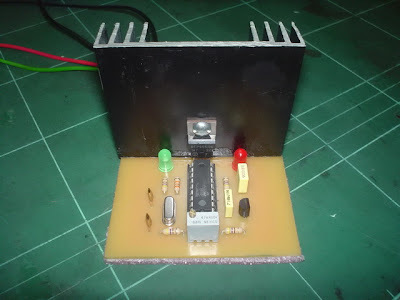 Pictured below is a PIC-based, PWM current controller that runs at 70kHz with 0-100% duty cycle varied via the multiturn trimpot. The MOSFET used is supposed to be able to handle about 50A with 0.022ohms on resistance. I don't think it can hit that high without exploding with the current heatsink.